An efficient in-store operation delivers improved availability and more shopable stores. Reduced set-up time on the shop floor, lower labour costs and quicker turnaround. Faster fulfilment and replenishment. Transforms use of space to revitalise lower shelving space. It ensures fuller shelves and a clutter free environment, providing a better shopping experience that encourages shoppers to browse and spend more. This type of pallet is more of a marketing tool than a logistics tool. We have seen that the CHEP quarter pallet helps promote the brand significantly, increasing sales. Easily customised to meet your space plan at every location throughout the store, whatever the store format. 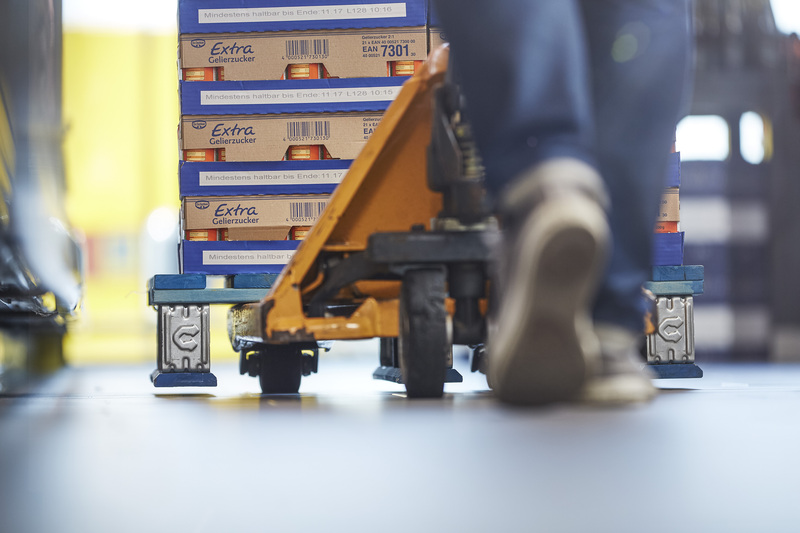 Our retail-ready solutions are designed to efficiently take your goods through the supply chain to the shop floor to be easily placed at the point of sale with minimum handling as they virtually eliminate hand replenishment. Ensuring maximum impact in store. Display attachment option using the Inner Blue-Click. Display attachment option using the Outer Blue-Click.